Categories: Meters/Sensors. Keywords: metering, Meters, Submetering. Over the last few decades, metering energy has become more than just a device on the side of the building, in the electrical room or physical plant. It has now become a tool that provides data for managing buildings, tenants, cost centers, sustainability and much more. It started with the simple questions related to installing a meter, walking up to the meter, reading the dials or display, writing down the ‘clipboard’ and using ‘sneaker net’ to get the information to a spreadsheet or other reports. With today’s technology, we now have a process that can be integrated on many levels, with the capability to share information with many departments, agencies, consultants and more. Feeding big data gives us a new set of questions. Energy management is being looked at now beyond just electrical. It now includes the gas, water, other thermal loads and non-utility parameters. Metering has taken on an expanded role in the last decade to facilitate business operations and has become a primary source to the Big Data of energy management and efficiency. This discussion can go on for pages, but I am going to stick to some basic thoughts and questions for now. How do I know I will get a payback? What information am I looking for from the meter? How is the data being delivered? Where is the data being delivered? How often am I going to receive this information and make an actionable decision? How do I maintain the data historically and use the data effectively? This old but true adage has been the initial driver to metering because everyone can understand this concept. ‘Guest-a-mation’ is no longer acceptable. As a result of an energy audit, you may replace a piece of equipment or adjust a controlled operation in your BMS. To prove the savings, you will need to perform a verification based on historical and current data in order to show success or failure. From a failure you can make the necessary adjustments and start the M&V process over. But when proven successful, the meter will continue to provide the ability to continuously commission the change and eliminate any drift or re-occurrence. It is important to maintain your savings. Metering can provide the ability or capacity to act effectively in making and maintaining changes. You need to think about all the active meter data participants for this installation. Everybody can be an energy manager if they can visualize the metering data. Allowing non-energy managers to support efficiency in seeing what their role is can become a powerful tool in the whole process. Dollars and cents are the real reasons to invest in any business operations. Metering can provide the ability to allocate internal costs which can lead to conscience cost saving behaviors in departments. Many energy users who are conscious of their bills are unsure as to whether the utility is charging them correctly. Most rates are pretty simple, but with deregulation of electricity and gas, there are now multiple bills and suppliers to check on. There are many cities across the US that has implemented either mandatory or suggested participation in utility usage. By using the EnergyStar Portfolio manager, the score is then available for public access. Although this requirement is yearly and only requires the data off of utility bills, the best way to start improving your score is by metering. CBECS is another building scorecard that may also be used. At some point in the future sub metering may be mandatory. How many will follow New York Local Law 88? Investing in the future by starting now may be viable. The initial invest of metering have come down dramatically over the last decade. More suppliers, newer technologies such as split core CT’s and clamp on devices are lowering this investment. Also, funding is now more available. Proper installation has a cost. If a shutdown is required, then costs go up even higher due to loss of production or off hour labor. It must also be determine whether in house personnel are capable of doing the install, or whether the service needs to be outsourced. You may need to use the meter vendor to support this. Meter maintenance is also an issue. Utilities are required to recalibrate and check metering sites in addition to fixing those that are not providing data. Now this must be done on the other side of the utility meters for all the sub meters in a facility. Today meters are delivered with some form of communication capability. This can be hardwired to a PLC or appliance box, connected to the local Ethernet or to a wireless network. This integration and pulling of the data from the meter to the designated database is a onetime cost and should be specified in detail to define what metering parameters and controls need to be done. You need a smart team to install, commission and integrate the meter into the building and business process. Support – The meter vendor’s commitment and knowledge is critical. Look to see if there is online support, blogs, FAQ’s and other media to answer your questions. Warranty – This period should be between 3 to 5 years for electrical. It may vary more for gas, water and other flow type meters. Integration flexibility with my IT, BMS or service provider – If the meter is being used by your building management system, then it should easily integrate into the system with minimal work by the BMS team. Accuracy – This should not only be an issue for internal billing (tenant and others), but also for utility participation programs such as Demand Response, peak shaving and more. Beyond these applications most meters will work fine where plus or minus 1% is a good guideline. Additional loads digital and analog inputs or outputs – Consider all meters within a reasonable vicinity when installing a meter. Some meters provide the ability to support inputs (both digital and analog). These inputs can be gas, water or older electric meters. Also, the meter may have to provide additional outputs beyond the communication protocols where a digital or analog output may be required by a BMS or SCADA system device. You don’t always know. Your EnergyStar score can show you need more detail. In conjunction with an energy audit, the detail from the meters can show what needs to change to improve your score. If part of an ECM, it may be factored into the cost of the ECM as part of the M&V. A safe working number, if there has never been any kind of monitoring has shown to be a 5% to 15% savings once enough data has been analyzed and reviewed. Meters are capable of providing and storing an inordinate amount of data. How do you determine what data is required? Who are users of the energy and engineering data? Facilities, Accounting, Sustainability and Engineers all can contribute to this decision. 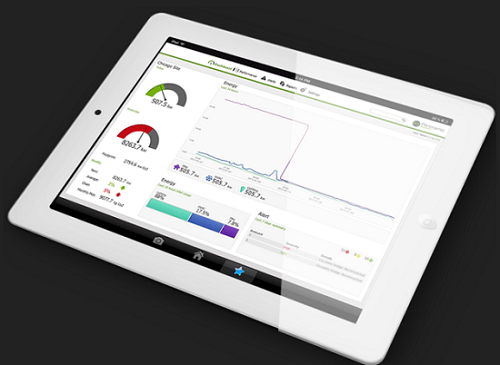 Make the meter data into information use against your KPI’s for savings. So now you select the data, how often do want to store, read and analyze. Technology is making this easier but also more confusing. The supporting meter infrastructure needs to be considered with the selection and installation of the meters. There are IT questions to consider in metering, particularly when the meter data is going to a BMS or EMS system. If working with Software as a Service provider, other considerations need to be made. How does an IP based meter effect the bandwidth of the network? What about my local security policy? These devices can directly interface with the BMS or EMS system. In addition they can now communicate over cellular networks directly to a hosted or corporate solution (SaaS). Data has been historically retrieved by the building management or Building Automation System. Technology has opened this up to energy information and management systems, cloud databases, local historian system and many, many more. Understand the meter data flow that is needed to meet the current and future requirements. Will the data be staying within the Intranet of your organization, or need to be delivered to a SaaS / Cloud Provider to support our operations. You probably have limited resources to take action based on the metering data. Meters can provide data for the short and long review of your operations. Understand clearly the analytic process of the data. Also, select the right metrics and KPI’s to the information, then automate as much as possible. Take actions on these exceptions. Metering data is the center of the energy management and efficiency process. The meters feed information to multiple levels and organizations. It is not just energy ,facility managers and engineering but also maintenance and sustainability applications. The questions have evolved over the years and the Internet of things will reshape metering even more. Be conscious of the process of metering and begin viewing it as a system component that is part of the overall integrated solution. Categories: Contractors, Contractors News, Meters/Sensors, Meters/Sensors News. Keywords: metering, Submetering. The Submetering 102 Guide will take you through the three step process towards procuring submetering energy management. This guide will leave you with the basic knowledge necessary to perform a site survey, install submeters, and perform the reoccurring commissioning process (aka reoccurring revenue opportunities! ).